A remodeling project can be very expensive, especially if you want major changes to happen. There is a way to get as much impact at a more affordable cost. 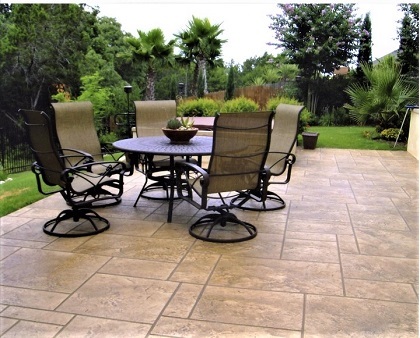 Stamped concrete is a type of decorative concrete application that enhances the look of any outdoor concrete surface, such as the patio, pool deck, driveway, walkway, and more. It is affordable yet it yields aesthetics that truly look high-end and expensive. If you are planning an outdoor enhancement project, here notable reasons why stamped concrete is the best choice out there. It is stunning. With the wide range of patterns and textures available, there is no limit to how gorgeous a stamped surface can get. One popular feature of stamping is that concrete surfaces can be made to look like real stone, brick, wood, and other more high-end paving and flooring materials. A flagstone pattern, for example, can be made more realistic with the addition of concrete stain colors. Installers often customize the coloring process to make it look more natural. Concrete is as durable as time itself. It can handle heavy weight and high foot traffic. As long as it is properly installed, it is resistant to changes in weather and temperature. It is highly recommended to have the stamped surface finished with a concrete sealer to enhance its durability. The sealer will also seal off concrete pores where mold and mildew could grow from. Concrete, by nature, is a very versatile material. Being able to acquire patterns through stamping is actually another way it proves its versatility. Another way it is versatile is how easily repairable minor damages are. Cracks can easily be filled and holes can be filled. After that, an overlay can be installed and stamped with your desired pattern. A stamped surface is one gapless surface so dirt, weed, mold, or bugs won’t be able to make homes out of gaps or divisions. If properly sealed, dirt and moisture stays at the surface and will not penetrate the slab. You also won’t need special cleaning products or routines for it. Daily basic cleaning and occasional power washing are enough to keep it in good shape for years to come. When you choose to go with stamped concrete, there is nothing to regret. Just make sure that you hire a contractor who is highly trained and experienced in stamped concrete projects.